As the saying goes, if I was in an alley fight, and I had to pick a Pittsburgh Steeler to have my back, center Maurkice Pouncey would likely be at the top of my list. I’m sure the same goes for many of Maurkice Pouncey’s teammates–at least in a metaphorical sense, if not literal. It’s also no secret he’s one of the true leaders of the Steelers locker room, a player that just about every teammate who has known him during his career has respected and admired. There’s also no question how much Maurkice Pouncey appreciates being a Pittsburgh Steeler. While not as vocal about it as other Steeler greats such as Mean Joe Greene and Hines Ward, there’s no doubt Pouncey has always cared about the Steeler shield–the brand–and makes sure others show the same respect and love for the organization that he does. At the tail-end of the 2017 season, shortly after legendary outside linebacker and fan-favorite James Harrison was released from the team, Maurkice Pouncey was quick to set the record straight on the sentiment that James Harrison was a victim and treated unfairly. 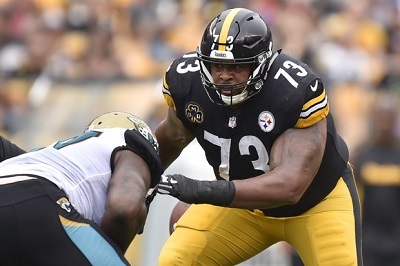 In fact, Maurkice Pouncey was the first to speak up and bring to light Harrison’s unprofessional behavior throughout the season–behavior that was spurred on by his frustration over a lack of playing time–that ultimately forced head coach Mike Tomlin to get rid of him. Harrison quickly signed a deal with the Patriots, Pittsburgh’s nemesis for many years. This action seemed to really irk Harrison’s old teammates, especially Maurkice Pouncey, who said Harrison ‘erased‘ his Steelers legacy. It’s important to point out that Pouncey later clarified his statement and softened his stance on Harrison’s ultimate legacy in Pittsburgh. But there the Steelers were, in a PR alley fight with James Harrison, the media and the fans, and who was the first person to come to the rescue? Maurkice Pouncey. 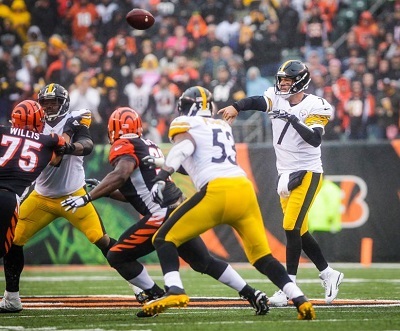 Maybe that’s why I’m not surprised Pouncey was really aggressive just last week when his Steelers–specifically quarterback Ben Roethlisberger — were being dragged through the mud by two recent former teammates —Antonio Brown and Le’Veon Bell, both of whom accused Roethlisberger of being the real problem in the Steelers locker room. Spoken like a loyal Pittsburgh Steeler and a true team leader. Will anyone grant Maurkice Pouncey, who, again, has quite the career resume, a national interview to get his positive take on Roethlisberger’s leadership qualities and Pittsburgh’s locker room situation? Not likely, not when it’s become oh so chic to bash the Steelers on a national level. Not when people take as gospel the words of an All-Pro receiver but not those of an All-Pro center who has been hiking the ball to Roethlisberger for years. No doubt Pouncey had some issues earlier in his career involving the law and immaturity. He also seemed to alienate the fan base a bit after suffering two season-ending injuries (as if that were his fault). However, Pouncey has not only put to rest his reputation for being injury prone. Much like Rod Woodson, who had some brushes with the law in the early portion of his Steelers career, Maurkice Pouncey has grown into a mature person and, by all accounts, a model citizen. Fans have always demanded loyalty from their players, which is why the disdain for those who would rather hold out of training camp for more money or go play for another while trashing their previous one is so palpable. But if you’re looking for loyalty — if you’re looking for someone who is pretty darn proud to be a Pittsburgh Steeler — look no further than Maurkice Pouncey. The Steelers soap opera with Antonio Brown continues. 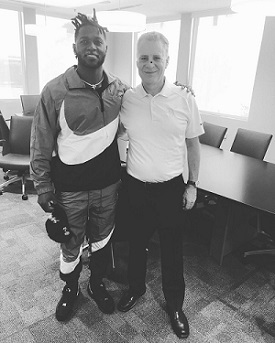 In this latest installment, Antonio Brown in the course of about two hours flip flopped from refusing to meet with Steelers President Art Rooney II to agreeing to the meeting “Out of respect” per Ian Rapport’s reporting. Why does Art Rooney II want to meet with Antonio Brown in the first place? 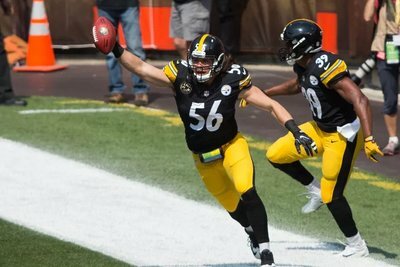 Antonio Brown stormed out of Steelers practice either because of a dispute with Ben Roethlisberger or out of Jealousy over JuJu Smith-Schuster winning the 2018 Steelers MVP award and hasn’t been heard from since. Well, maybe, as Antonio Brown’s agent Drew Rosenhaus has indicated there has been some communication. Antonio Brown’s refusal of phone calls form Art Rooney II, Mike Tomlin and teammates is well documented. Based on Ed Bouchette of the Pittsburgh Post-Gazette’s reporting, the Steelers were already inclined to trade Antonio Brown before Antonio Brown made his trade request this week. So what does Art Rooney II have to gain by meeting with Antonio Brown? Perhaps this is simple due diligence. After all, it was only two years ago that Art Rooney II signed Brown to a 5 year contract. Perhaps Rooney, as a business man and a leader feels you don’t cut ties without at least talking to Brown face-to-face. No qualms with that. It is also possible that a Rooney-Brown meeting could help facilitate a trade. Brown’s antics, from his domestic dispute to trolling the Steelers on social media, with or without James Harrison, serve as bright red buyer beware flags for every other NFL General Manager to see. 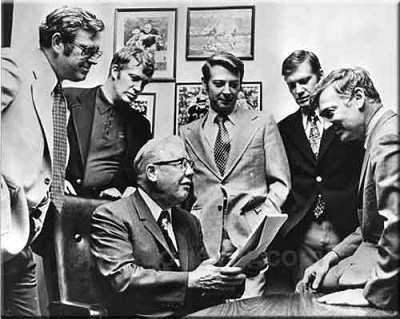 A Brown-Rooney II meeting ending in an amicable divorce with both parties doing and saying all the right things might not increase Brown’s trade value, but it should stop the bleeding. Its also possible that Art Rooney II wants to meet Antonio Brown because he feels he must exhaust every last possible chance to keep the Hall of Fame talent within the fold. Given all we know, that possibly seems incredibly remote. And, accepting any Antonio Brown assurances that “It’ll never happen again” would seem hoplessly naïve. But there’s something to be said for meeting a man face-to-face, looking in his eye, and taking his measure. Fair enough. Art Rooney II on Antonio Brown’s Future in Pittsburgh. Did the Steelers President Tip His Hand? 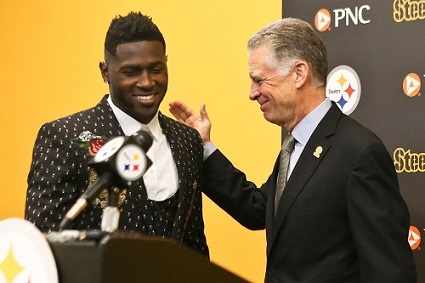 Art Rooney II spoke with Gerry Dulac of the Pittsburgh Post Gazette on the Antonio Brown situation, and while the Steelers President didn’t close the door on Antonio Brown remaining in Pittsburgh, he left little doubt about which way that door was swinging. None of this is surprising. When asked if Antonio Brown quit on his team, Steelers head coach Mike Tomlin offered no objections. And for those savvy enough to decode press reports, it is pretty clear that the Steelers are open to trading Antonio Brown. And there’s a strong argument to be made for the Steelers-Brown divorce. Abandoning your teammates is not a trivial offense. 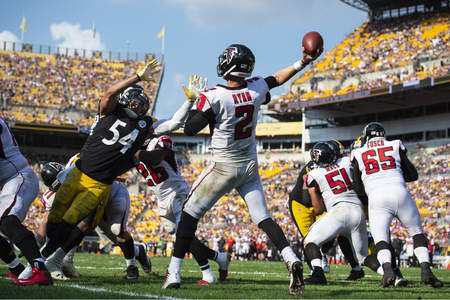 The Steelers cut LeGarrette Blount outright when he walked off the field during the Steelers 2014 win over the Tennessee Titans when coaches indicated that Le’Veon Bell would remain in the game. While the situation was a little different, James Harrison did the same in 2017 and the Steelers cut him at Christmas. Ben Roethlisberger has spoken publicly about the incident, denied any friction between him and Brown in an effort to remain open to Brown coming back. Cam Heyward said he wanted Brown to remain a Steeler, but also made clear that Brown’s behavior is unacceptable. Fair enough, but while Roethlisberger and Heyward’s opinions count, neither man has decision-making authority. Art Rooney does, and he’s made clear he’s ready to use it. But the question must be asked, did Art Rooney II go too far and tip the Steelers hand? This might be overthinking things, but if working closely with sales representatives who put together multi-million dollar deals has taught me anything, it is to never let on how much you want to buy or sell. Did other NFL teams know that the Steelers might be considering trading Antonio Brown before Art Rooney II acknowledged it? Of course they did. But being open to trading someone and wanting to ship someone out are two different things. Scarcity creates demand, and if the Steelers are seen as wanting to trade Brown, then it could make it harder to get fair value for him. If that sounds silly, think of the position the Steelers were in last season with Martavis Bryant. Martavis Bryant, despite under performing, despite the Steelers having stood by him through various suspensions, wasn’t happy to have to compete with JuJu Smith-Schuster for playing time, and demanded “I want mines.” He then took to Twitter to demand a trade. The Steelers stood firm and refused to entertain offers. Martavis was never offered in a trade. Teams have inquired about his availability. Because of media reports, we’ve quickly dismissed that and said he’s not available. And then of course during the 2018 NFL Draft, the Steelers turned around and traded Martavis Bryant to the Oakland Raiders for a 3rd round pick, and used it to draft Mason Rudolph. Why did the Steelers change their mind? Because Jon Gruden knew Pittsburgh wanted to keep Martavis Bryant, he offered them a deal that was too good to turn down. Different dynamics drive the Antonio Brown situation. What Martavis Bryant did in 2017 was out of line; Antonio Brown turned his back on his teammates in their “darkest hour,” and then had the nerve to test his coach by showing up and trying to force him to play him. In contrast, imagine if Art Rooney II had said something like, “Obviously, this is a serious situation, but Antonio is part of the Steelers family. And you know how the saying goes, you praise you family in public, and admonish them in private. We’ll take care of things in house.” He’d have made himself look weak to the rest of the league. Worse yet, he’d have revealed himself as weak to the entire organization. Instead, Art Rooney II has done the opposite. He has made clear that Antonio Brown isn’t going to dictate to the entire Pittsburgh Steelers organization. That’s the right posture to take. Hopefully his public stance won’t compromise the Steelers ability to demand trade terms that deliver fair value for shipping out a Hall of Fame talent out of Pittsburgh.